After eagerly waiting for fiber services to reach her area, our front office manager Kami received notice that her neighborhood was a “go.” To truly understand her excitement, read her confession here. To highlight our Honest and Hassle Free core values, Kami took the time to document her install experience to help customers see exactly how our ALLO installation process works. I was obviously thrilled to become an ALLO customer and immediately worked with the residential group to get our install date scheduled. November 6th at 3:30. Christmas in November! 2:10 – Time to head home from work to meet my ALLO install crew, Tyler, Scott and Andrew to get started with my #FiberFuture! 2:26 – They’re early (Bonus!). Tyler and I look at existing cable infrastructure, and he surveys where to place the equipment to give us the best results. Meanwhile, Andrew and Scott (Drop Crew) get started on pushing the fiber through the conduit that runs from the pedestal in the alley to the back of our house. We live in an underground neighborhood, and the conduit was already placed underground making this a quick step. 2:50 – Drop is in. 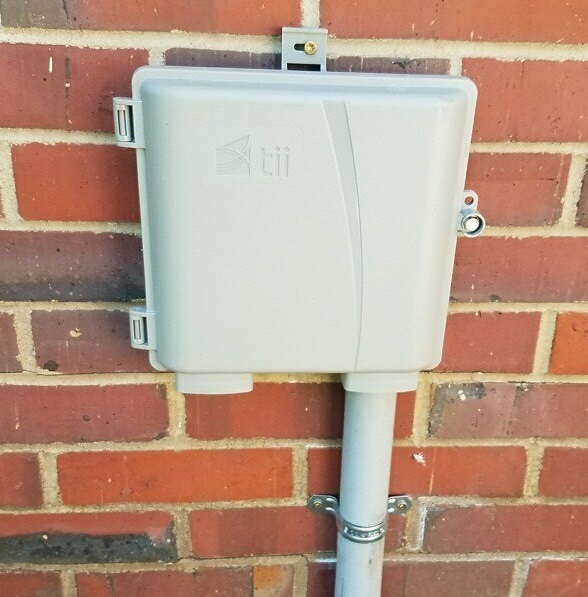 The next step is to run the fiber through the fiber interface box on the outside of the house to the entry point into the house. 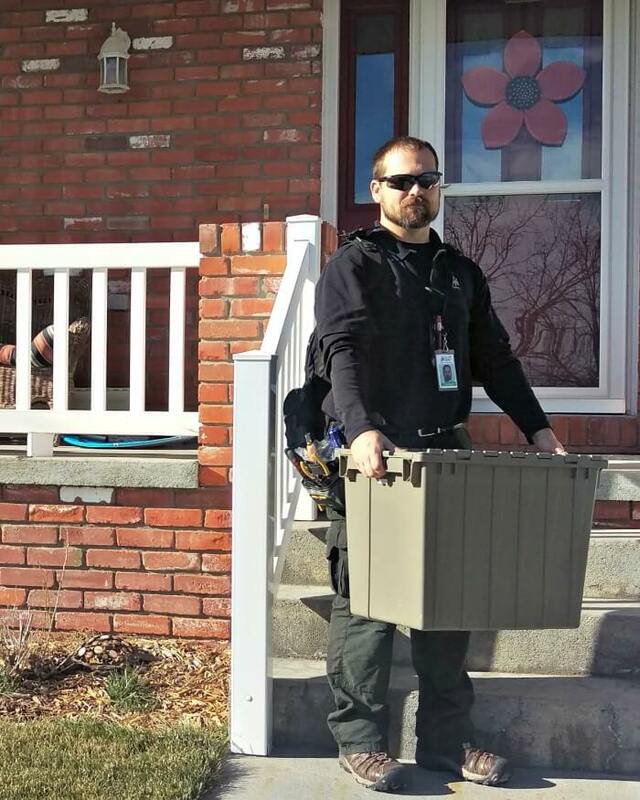 From that point, the fiber runs directly to the ONT delivering unmatched fiber services. Having a dedicated fiber that’s all your own is a HUGE advantage. No sharing bandwidth, no lag time, just a lot of speed that essentially gives you the gift of time. Again, Christmas in November! 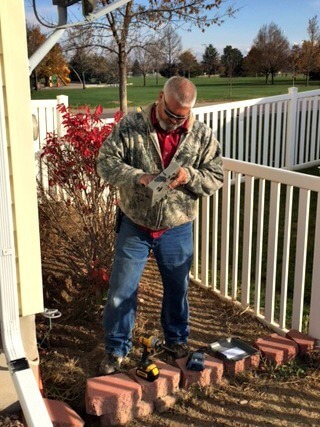 3:10 -The fiber run is in and is hooked to the ONT (Optical Network Terminal – or “brains” of your system). We are starting to see our technology combine the ONT (brains) and Router (keeps networks connected to the Internet) together which means less equipment for you and that’s a win! 3:20 – Tyler hard wired a desktop computer for us. All of our other devices are wireless which makes the install go much quicker. 3:22 – Cookie break! These guys work hard and deserve a cookie. 3:25 – Wireless TV boxes are next, and this is a snap. The boxes plug into power, then plug into the TVs, and that’s it! Bingo, bango pass the popcorn. 2 TVs, 20 minutes. 3:50 – Tyler made sure all of our wireless devices were connected. And then later that night, we made sure ALL of our wireless devices could connect simultaneously! Twenty-four at once, no lag time. Whoa! Not that I was counting, but the 1,397 days we waited for ALLO were completely worth it. Thanks, ALLO!! 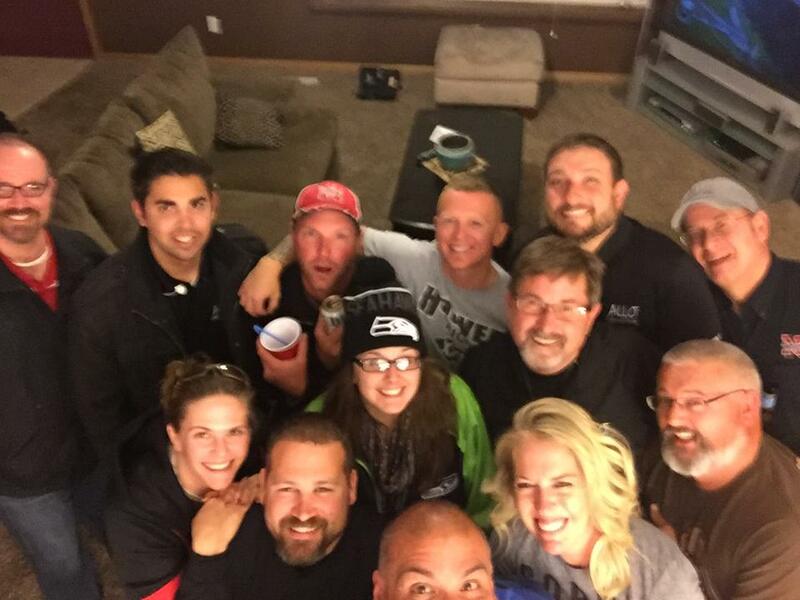 Kami had the ALLO SB crew over to celebrate! *Disclaimer: No two installs are alike, technicians sometimes face obstacles such as interference, wiring difficulties, etc. which can prolong the installation time. 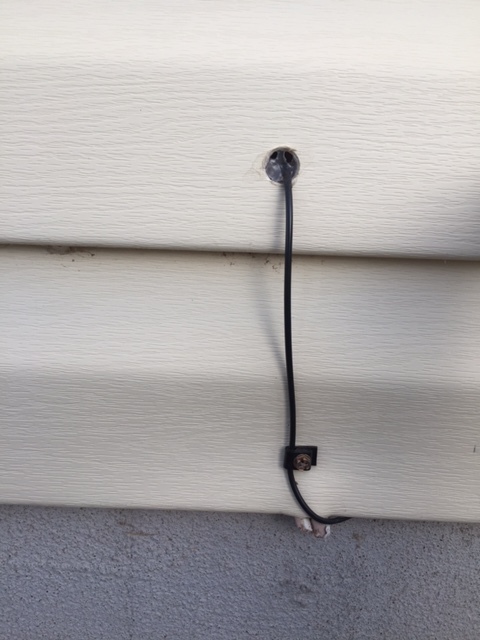 This is only an example of a typical TV & Internet install with no unforeseen obstacles.